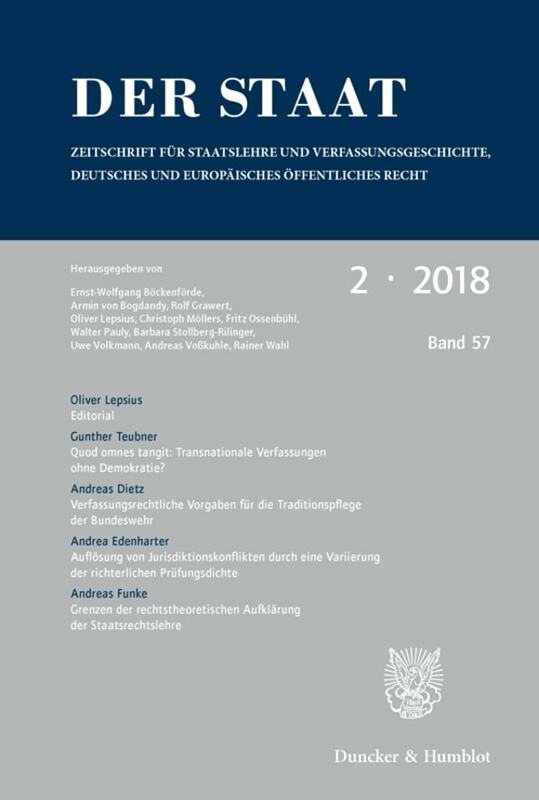 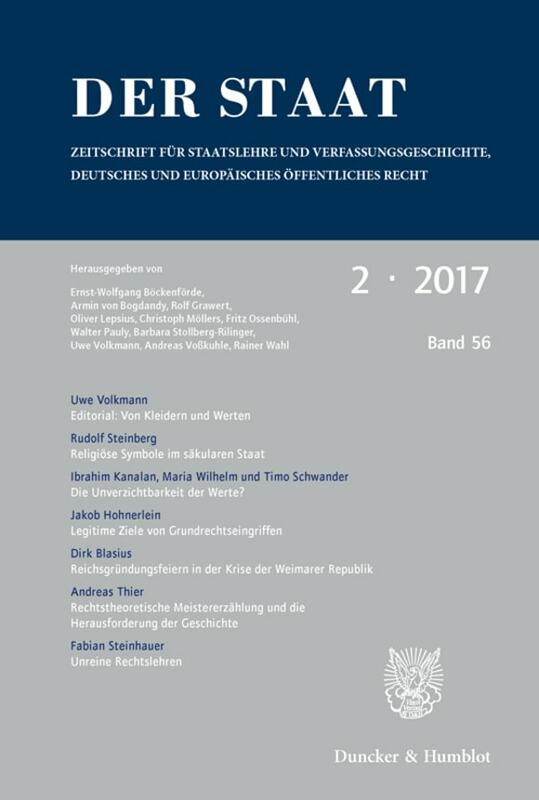 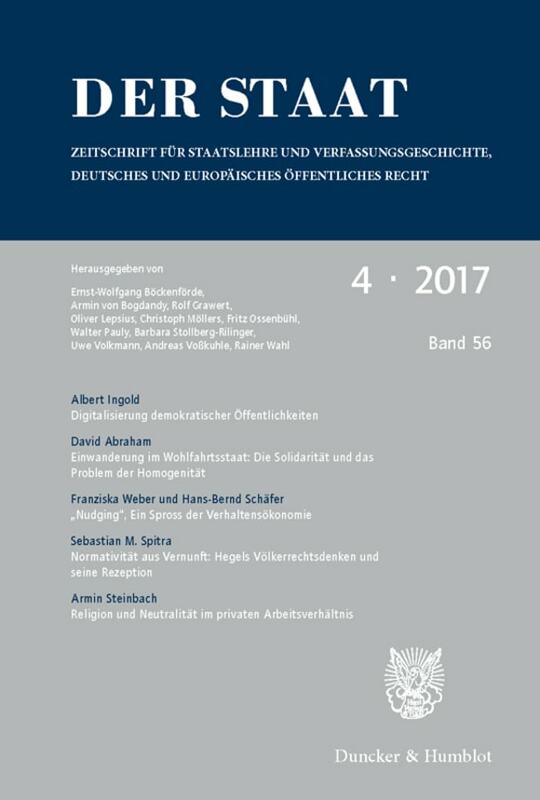 According to its subheading, Der Staat is a »Journal for the Theory of the State, Constitutional History and German and European Public Law«. 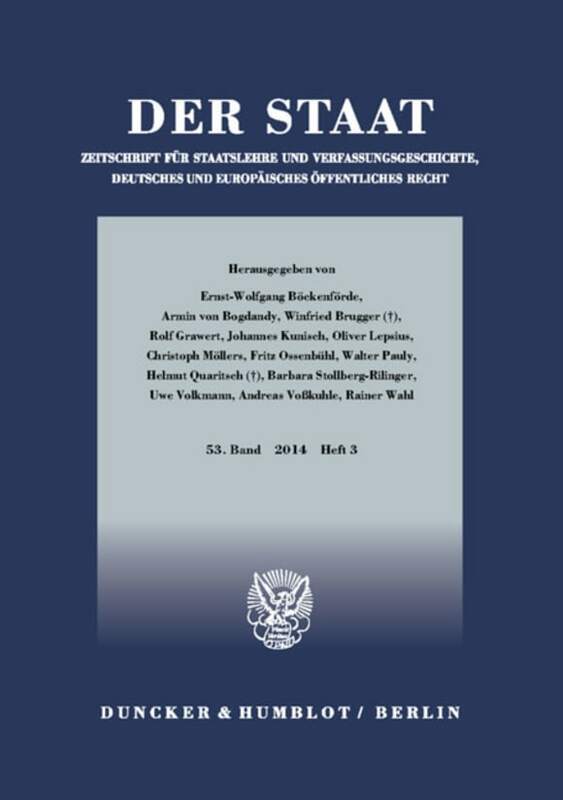 Instead of an ahistorical approach, Der Staat describes and analyses its object as to what it has become, the conditions of its creation, existence and development, its concrete achievements and endangerments, as well as in the comparison with the understanding of the state and state actions in other countries today especially within the European context. 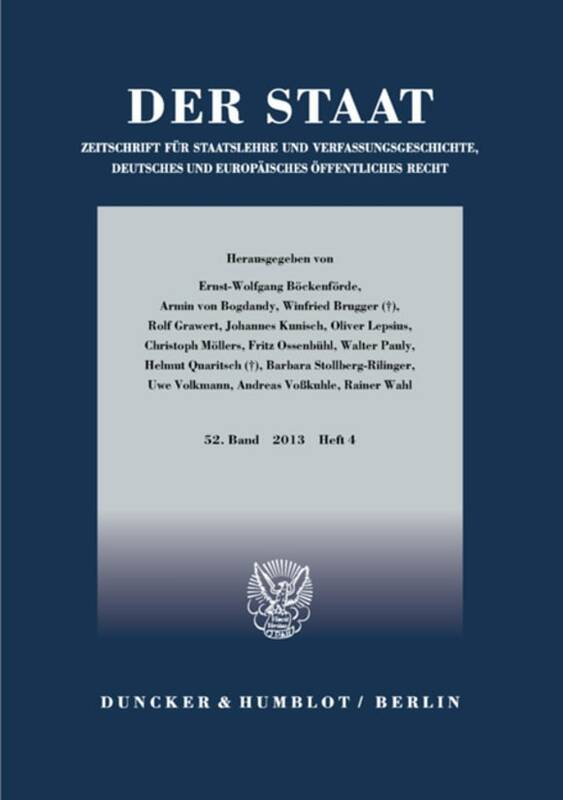 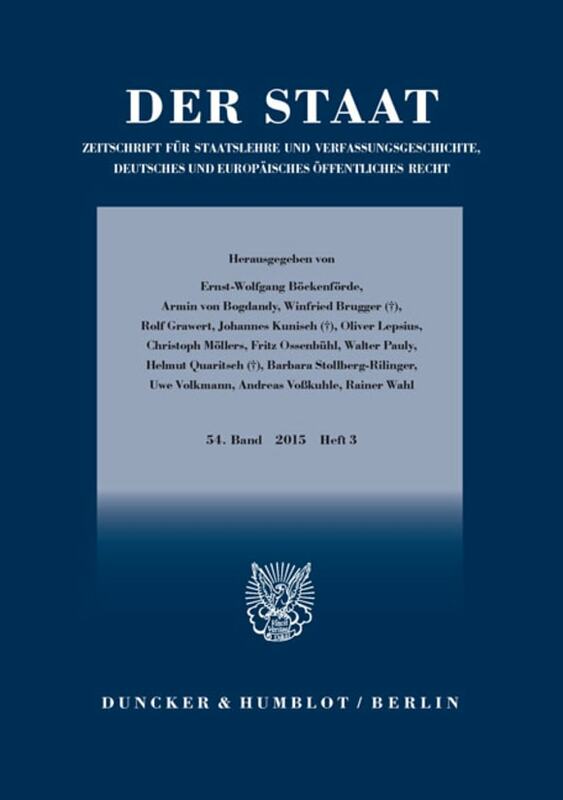 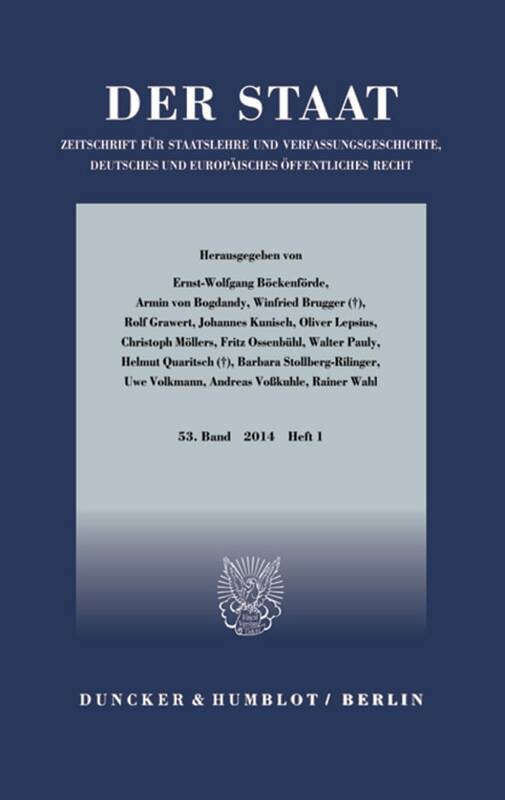 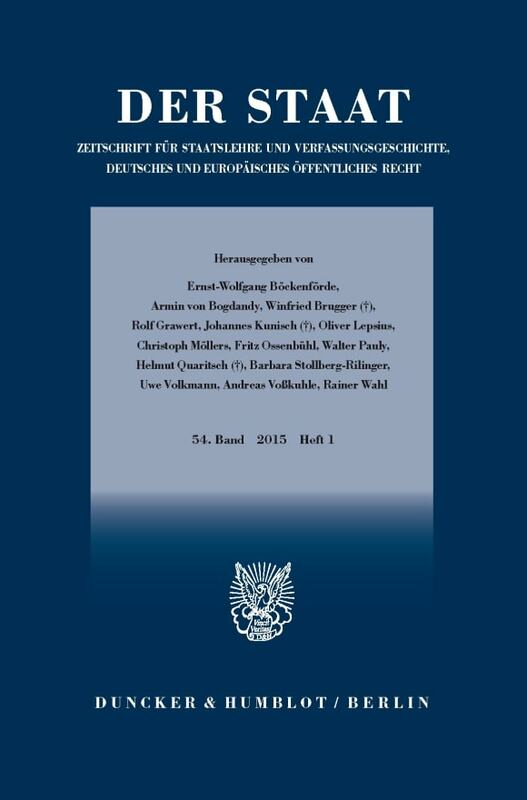 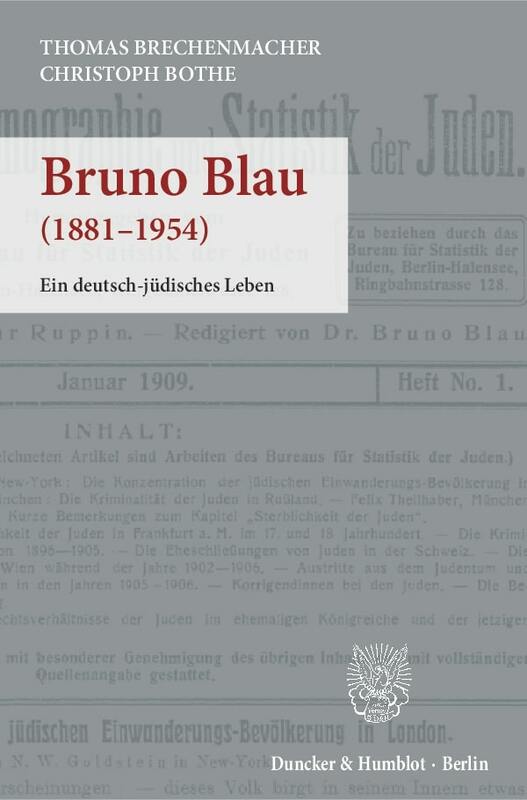 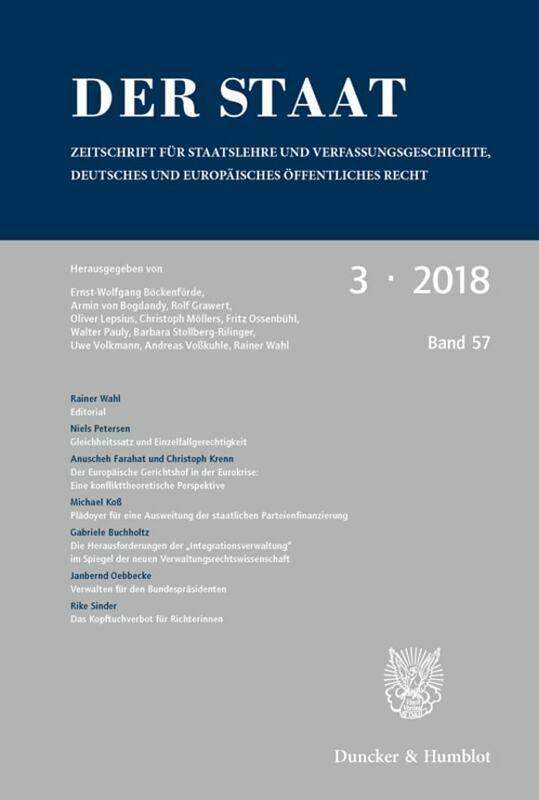 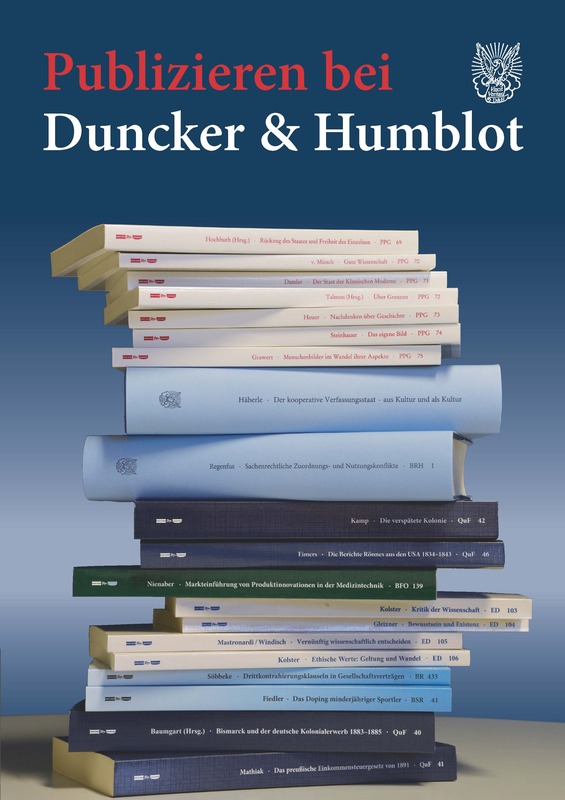 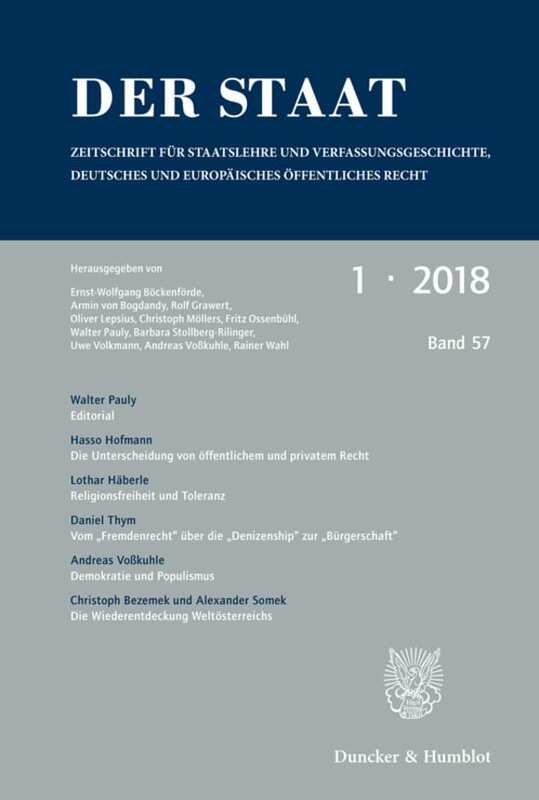 The journal intends to examine the fundamentals of today’s statehood, analyze the concrete and current developments and classify them within the further contexts of the respective dogmatics within both the jurisprudence and the legitimation discourse in Germany and Europe. In addition, there are current topics such as »Public services in the changing forms of the state« and »International law as public law: Contours of a legal framework for global governance« or topics that are especially tailored to German problems such as »German revolutions - ›legal revolutions‹?« Der Staat is not committed to a special school or philosophy; however, the journal continues to assume that, despite the numerous relativizations of its previously more extensive sovereignty and despite the various transgressions on the level of the unitary state through internal differentiations (federalism) and external disincorporation (trans- and supranational organizations) the level of the national state is still a central attribution organization, political and juridical, as well as for the self-conceptions of the citizens and the peoples. Analyzing the increasingly complex circumstances for the citizens, as well as for the representatives of politics and law, in an up-to-date and fundamental way – this is the objective of Der Staat.